You were brilliant. On Sunday, July 15th, filmed by ITV Meridian news and photographed by the Witney Gazette/Oxford Mail, you made local history and sent a clear, strong message to WODC and OCC. 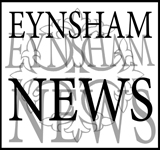 In the context of many Eynsham people supporting the development of affordable housing, the demo focus was on creating a 21st century transport system and telling the Councils why their development plans for the A40 are unworkable and unacceptable. On our Facebook page, there are some amazing pictures and videos that our community made. Take a look! The ITV Meridian broadcast was followed by BBC South Today. interviewing EPIC members beside our "Four Billboards Outside Eynsham" on the A40, as well as televising our attendance at the WODC Cabinet in the Council Chamber. 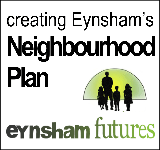 Andy Goodwin, father of 4 girls at the Eynsham Primary School, explained to the Councillors why the proposed developments will harm Eynsham. 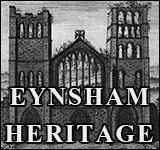 He also invited James Mills, the Council Chair, to come to Eynsham to meet some of us. Andy suggested a coffee and informal chat so he could hear our concerns. This TV news piece was the headline item on Wednesday and lasted four minutes, so we were pleased about that!! And front page in the Witney Gazette! 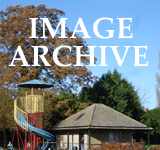 THANK YOU TO ALL FROM EYNSHAM AND NEIGHBOURING VILLAGES WHO CAME ALONG!!! Come to watch the footie! Forget Wimbledon - how about tennis on the A40? Sort out sustainable transport first!